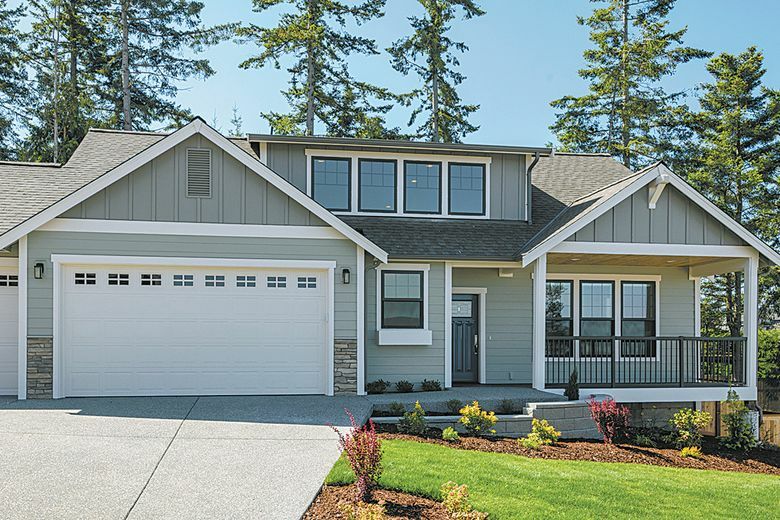 The homes at 48° North range in size from 2,809 to more than 3,200 square feet and include two-, three or four-car garages. Some include bonus-loft options. ANACORTES — Ten homes remain for sale at 48° North, a collection by Landed Gentry Homes and Communities that feature views of the San Juan Islands and Guemes Channel. The homes at 48° North have been designed to maximize the natural vistas and optimize comfortable living, she says. 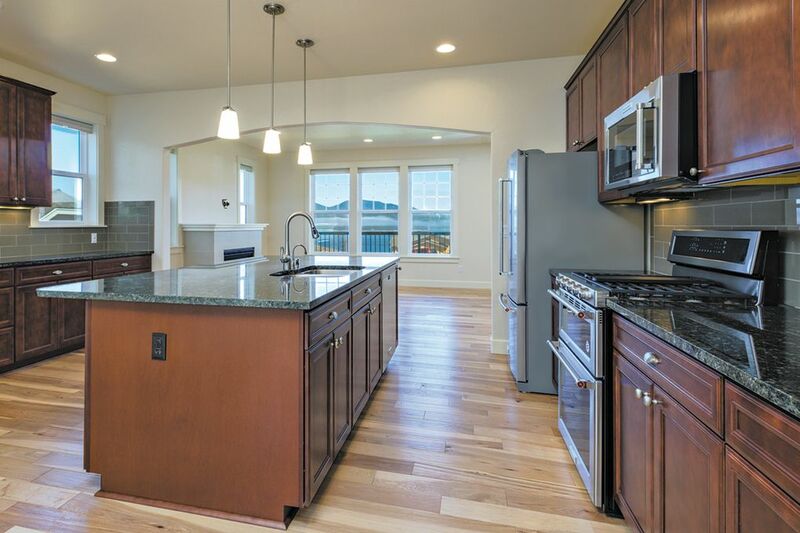 Home features include hardwood flooring, solid-surface counters and solid wood cabinetry. The Larrabee design has just over 3,000 square feet of living space with the master suite, guest room and study on the main level. The lower level includes a family room, two additional bedrooms and a bathroom. The open floor plan offers views of the San Juan Islands, and covered decks on both levels also take advantage of the vistas. The homes include extensive hardwood flooring, solid-surface counters throughout, solid wood cabinetry, and fully landscaped, irrigated and fenced yards. Homebuyers can also personalize their homes with selections that match their lifestyle and taste. “Buyers have the option to purchase a quick-delivery home already in construction, or they can personalize their home through Landed Gentry’s streamlined pre-sale process,” Decker says. 48° North is within walking distance of Washington Park, the Guemes Channel Trail and the ferry terminal. It also offers easy access to town amenities such as the hospital, library and marina.